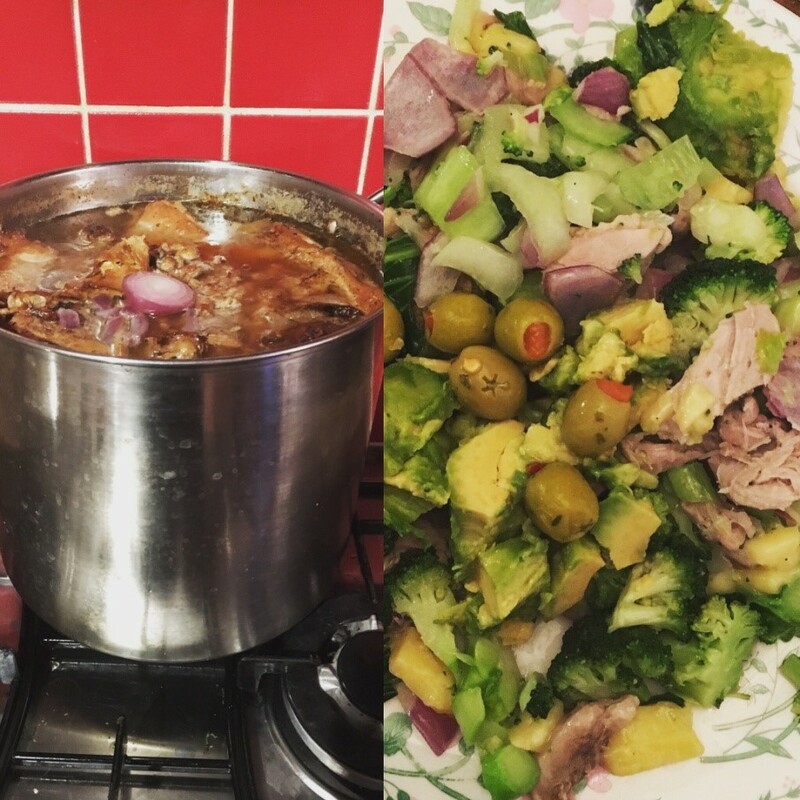 If you make bone broth you can use it to simmer your veggies in and they will taste lovely, full of flavour! 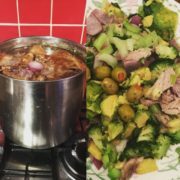 Bone broth has been used throughout the centuries in many different traditions around the world, it’s only in the last 30 + years that people have veered away from home cooking in favour of quick, ready- made meals. A well-made bone broth will contain cartilage, minerals from the bone, gelatine, and other nutrients. This can aid digestion, heal the digestive tract, help build the cells that line the gut and may even help prevent and mitigate infectious diseases. In the 12th century chicken broth was used as a treatment for colds and asthma by physician Moses Maimonides. Bone broth is not only rich in calcium, phosphorous, magnesium and potassium but also contains glucosamine and chondroitin. These are often bought as supplements to aid conditions such as joint pain and arthritis. The gelatine from the broth also has many health advantages as is being used in the treatment of chronic disorders such as anaemia, diabetes, cancer and muscular dystrophy. Gelatine also helps to keep fingernails and hair strong. These are only a few of the reasons why broth is not only a worthy supplement to our diet but also a nourishing base to make many other meals from. If the bones are meaty still, roast until brown in the oven. If the bones are less meaty, place them into a large pot filled with water. Leave enough room in the pot to allow for boiling. Place in the apple cider vinegar and let sit for an hour. The acid from the vinegar is thought to help pull the nutrients from the bones. Bring the water to the boil and add in the roasted bones if you have them. As the water starts to boil a large amount of scum will come to the surface, it looks like a greyish foam, make sure this is removed with a ladel and disposed of. Once just boiling turn the heat down to the lowest possible setting and allow to simmer. Add the onion, thyme and any other herbs you wish to use. Let this stock simmer for at least 12 hours and up to 72 hours. The longer you can leave it the more nutrients you will pull from the bones. Once the broth is done, strain into a large container. The bones will have shrunk considerably in size and if there is any marrow available it can be saved and added to a soup or eaten. Once cooled the broth can be placed in containers and be kept in the fridge for about 5 days. Once cooled down a layer of fat will rise to the top. This can be kept and used for cooking. Sautee your veggies in the stock and fat, they will taste amazing! Extra broth can be frozen and used when needed. Chicken broth can be made in the same way, you can buy chicken carcasses and feet at Primal Meats https://www.primalmeats.co.uk/product/organic-chicken-feet/ Sounds gross but the broth is really tasty! Simmer your chicken bits for 12-24 hours.